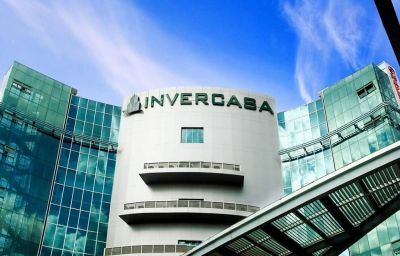 INVERCASA’s financial services are offered by a group of professionals that are in constant development, and that look for the best available option to satisfy our clients’ liquidity needs, income stream, and diversification of risk and profitability at a short, medium, and long term, while considering the different investment alternatives offered by a globalized market. We offer a wide array of complete financial services, provided by advisors that unify the criteria of your financial life in order to create an efficient structure that will increase your economic wellbeing. Your advisor is fully committed to understanding your needs and to look after your best interest through the support, experience and infrastructure of INVERCASA. At INVERCASA, we understand that the main purpose of every company is to create value in order to maximize the assets, while maintaining said value through the effective and efficient use of the financial resources through an accurate decision-making process. We specialize in providing counseling for mergers and acquisitions, corporate strategic alliances, appraisals of market alternatives, business assessments and appraisals, negotiations, and closing of transactions. We have been part of appraisal processes, as well as mergers and acquisitions of remarkable companies, and through the use of modern appraisal techniques, our financial analysts will equip your company with a competitive advantage in the market. An appraisal study can start by applying different practices and techniques, being the Management of Investment Portfolios an important one, which is applicable to the stock market and it also contributes to the buying process and price of shares. Moreover, it is possible to start with the Acquisitions Analysis, in which the investor will have a starting point and an outlook on the price that should be paid for a company before making an offer. But also, the company will be able to determine a reasonable value before accepting or rejecting a purchase intent. Our corporate finance team focuses on providing solutions tailored to your company’s needs, by the structuring of the issuance of securities based on specific financing characteristics and the nature of the monetary streams. Financing through the Stock Market gives the issuing company a number of benefits. Besides being a creative alternative with excellent interest rates in comparison to traditional methods, it is also an easy and effective way to generate liquid assets by the investors at a defined market price. Through our brokerage services, a liaison is created between the issuing companies and the parties interested in placing their surplus towards feasible financial instruments. Additionally, since we have met the established prerequisites set by prestigious entities such as the Superintendence of Banks and Other Financial Institutions and the Nicaraguan Stock Exchange, the issuing company places itself as a solid, sound, transparent and prestigious company, which are characteristics that provide a competitive advantage in the market. INVERCASA offers services in the structuring, promotion, execution and management of securities in the primary market, as well as representation of the issuing companies before the Superintendence of Banks and Other Financial Institutions (SIBOIF) and the Nicaraguan Stock Exchange (BVDN). 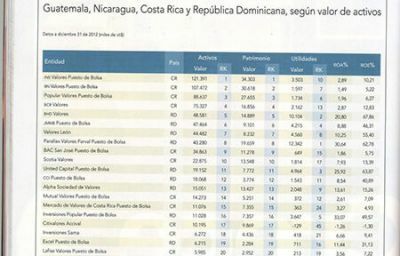 With over 20 years of experience, we are the leading brokerage firm for governmental and private structuring of securities issuance in Nicaragua, with 10 structures of debt and equity and over US$360 million dollars structured to date. Bond issuance and commercial papers. a) Ideal to meet operational financing needs. b) Flexibility of terms, conditions, and warranties. d) Prestige and transparency. Stock Issuance. b) Payment of dividends relies upon utilities. c) Investors have no right to vote. d) Stocks have no expiration date. INVERCASA offers the service of purchase and sale of securities in the Primary and Secondary Markets and of reporting to the Stock Exchange of Nicaragua and other stock markets at an international level. Our objective is that, through being an intermediary, we are able to offer our clients financial assets from the organized securities market, in order to maximize the returns of their investments. We have achieved this objective thanks to the many strategic alliances that we have created with prestigious national and international companies over our 20 years of experience in the market. We are the brokerage firm with the largest number of stockbrokers authorized by the Superintendence of Banks (SIBOIF) and the Stock of Exchange of Nicaragua (BVDN). Our large investor base, at a national and international level, gives us greater liquidity for our operations in a shorter period of time. INVERCASA gives its clients the reliability of knowing that their securities are under custody of the Nicaraguan Center of Securities (CENIVAL), which at the same time is supervised by the Superintendence of Banks and Other Financial Institutions (SIBOIF). Thanks to our online connection to CENIVAL’s platform, we are able to monitor the securities our clients have acquired. In the same way, INVERCASA manages its clients’ portfolio through different accounts in the system. 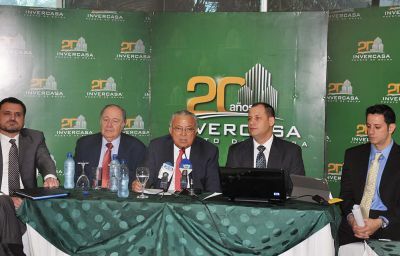 INVERCASA’s primary objective is to contribute to the development of a stock market and financial culture in Nicaragua, offering greater financial knowledge to our clients and to society in general through the use of continuous information of the novelties in the market. We are aware that financial education plays an important role in the creation of a savings, planning and investment culture; therefore, we offer an added value of stock and financial training programs including seminars, workshops, and technical development programs. Every month, we organize a working breakfast for the press where we release information to the media about the performance of the Stock Exchange of Nicaragua, as well as the behavior of commodities such as coffee, gold and petroleum. We develop and deploy a weekly and monthly newsletter called “Pulso Bursátil” that contains the most relevant news of the week and of the month. You may subscribe to our free newsletter through our website. Also, we encourage you to tune in every Wednesday at 7 pm to our spot “Financial Report” in the primetime show Notivos on Vos TV. Every spot is available on our YouTube channel. You can have access to our channel through our main page. These informational tools available to our stakeholders are part of an effort from our team of specialists and advisors at INVERCASA to create a financially-literate culture based on accurate information that allows society and our investors to make the right financial decisions. Horario de Atención 8:00 a.m. - 5:30 p.m.